Hot on the heels of the Marriott MegaBonus launch for Summer is the Starwood Preferred Guest summer promotion. 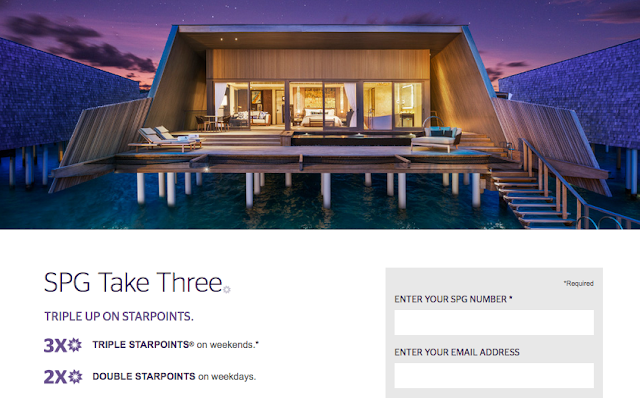 Called Take Three, SPG will award up to triple Starpoints for each stay of 2 or more nights at participating Starwood Hotels Worldwide. Weekday stays (Mon-Thu) earn double Starpoints while Weekend stays earn Triple Starpoints. Find many more Starpoints bonus offers here!